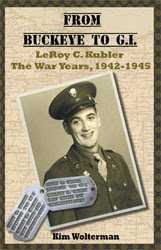 Even before I was finished with "Who's Been Sleeping..." I had begun to put together a book about my dad's service in WWII. Because I have all of my dad's papers (as well as photographs, record albums, sheet music, etc. ), I have an interesting assortment of items from his years in the military. It seemed like a shame to keep the memories in a box. I had talked with dad a bit about his service and fortunately I wrote a bit of it down. Building on my notes and his photos, I researched his army air corp unit (not much there0, the ship he was transported on, and all the cities and bases he had mentioned. It's all together now in a tidy little book. 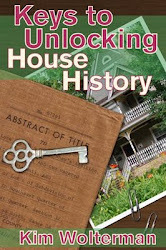 I was debating whether to just run off a few copies for my family, which would be the easiest way to go about this, or actually publish the book through my publishing company so that I could possible sell a few copies to the libraries and historical societies in Cincinnati. If I go with the second approach, I would have some copyright issues. I have used some photographs of the ship, planes and military bases which I found on the Internet. I would need to secure permission to reproduce the photos if I do anything beyond making a few copies for my siblings. In the meantime I have been looking at options for laying out the book. I obviously can't afford to hire a book designer for this particular book, and I just don't know how to use Indesign. As I was looking at options on the Internet, I came across a site called blurb.com. They offer a free book template which is fairly customizable. I downloaded the program last night and have begun looking at it. Of course they would like for you to print the books through them, and I certainly would be willing to check out their pricing. We'll see how user friendly the program is first. I'll keep you posted. How many darn projects can one person juggle at one time? You are the multi-tasker extraordinaire!